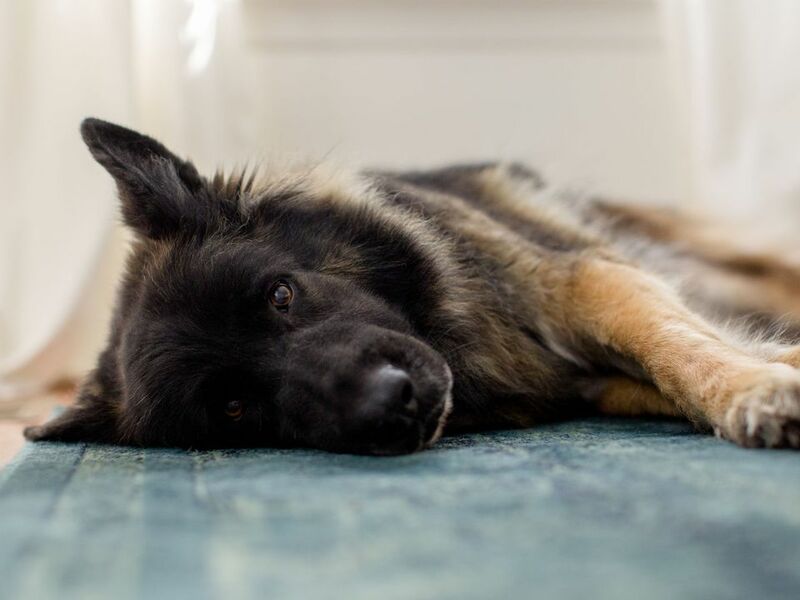 Addison's disease, also known as hypoadrenocorticism, is a hormonal disease that can make a dog become very ill due to imbalanced electrolytes. Learn about Addison's disease in dogs and find out how to treat it. The scientific term for Addison's disease is hypoadrenocorticism, a term which generally means "low adrenal hormones." Addison's disease occurs when the adrenal glands do not produce an adequate amount of hormones to keep the body's electrolytes in balance. The adrenals are tiny glands located near the kidneys. When a dog experiences stress, normal adrenals will produce extra cortisol to help the body deal with the stress. When there is not enough cortisol in the body, the body cannot handle stress well. The water and electrolytes in the body get out of balance, which can lead to serious illness. Addison’s disease is relatively uncommon in dogs. It is much less common than the opposite condition in dogs, Cushing’s disease, which causes an overproduction of cortisol. Dogs with Addison's Disease may exhibit no signs at first. When signs do appear, they can vary from mild to severe. Be aware that the signs of Addison's disease may be vague and are similar to the signs of other illnesses. If you notice these or other signs of illness that last more than a day or two, you should see your veterinarian. On examination, your vet may notice dehydration, weak pulses, and possibly a slow, irregular heart rate. Lab tests will be necessary to determine the true cause of your dog's symptoms. Your vet will likely start with routine lab tests, like a blood chemistry with electrolytes and a complete blood count. A urinalysis may also be recommended. In dogs with Addison's disease, it is common that blood work will show a high potassium level and a low sodium level. This is an electrolyte imbalance. Kidney values may also be affected. The CBC and urinalysis may or may not be abnormal. A presumptive diagnosis of Addison's disease may be made based on the initial test results, but additional testing is necessary to confirm the diagnosis. In most cases, an ACTH stimulation test is the next step. These results will confirm if Addison's disease is present. The exact cause of primary Addison's disease is not known. It is believed to occur due to an immune-mediated destruction of the adrenal tissue. Secondary Addison's occurs after some kind of damage has been done to the adrenal glands due to an outside factor. This factor may be trauma, tumor, or even medications used to treat other diseases. Certain dog breeds may be predisposed to Addison's disease. This includes the Bearded Collie, Great Dane, Portuguese Water Dog, Standard Poodle, West Highland White Terrier, and many other breeds. A very sick dog with Addison's will typically need to be hospitalized until stable. This illness is called an Addisonian crisis. Dogs are often very weak and have vomiting and/or diarrhea. The electrolyte imbalance requires careful correction with fluid therapy and medications. Fortunately, once the electrolytes have been regulated, it can be fairly simple to manage Addison's disease. Ongoing maintenance of the Addison's dog typically involves the use of an injectable mineralocorticoid called desoxycorticosterone pivalate (called DOCP or Percorten). Oral steroids may be used in times of stress to supplement the body's need for cortisol. Regular lab testing is necessary to ensure the electrolytes are in balance. If a dog with Addison's disease becomes even slightly sick, it is essential to have that dog seen by a vet as soon as you can. An Addisonian crisis can occur at any time. The faster your dog can begin treatment, the less serious the crisis becomes. There is no way to prevent a dog from developing primary Addison's disease. Secondary Addison's may be avoidable by making sure your dog is carefully regulated while on any medications. Routine examinations can also help your veterinarian determine risk factors for Secondary Addison's. Early detection can make it easier to manage Addison's disease. Follow your vet's advice for routine lab work. Mild abnormalities may allow your vet to discover Addison's before your dog actually gets sick. Preventing an Addisonian crisis is the best way to keep your dog safe.